When the Memphis Tigers met MTSU at home on November 3, they had great hopes for the afternoon. MTSU, a conference opponent, would be our first test of skill at our matrix level. 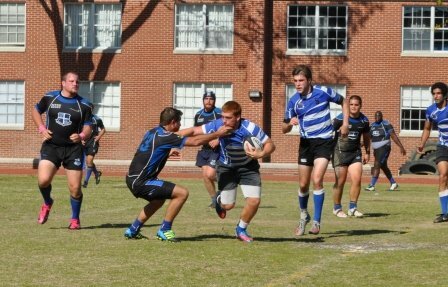 The South Independent Rugby Conference (SIRC) is undoubtedly the strongest Conference in the southeast and Memphis is expected to compete. The Tigers had learned our lessons well the previous week with ASU and were looking forward to bringing high intensity and new skill to bear against MTSU. Unfortunately, it was not to be. Due to mental errors and a few moments of concentration lapse, we did not pull it off. Running into the wind, the Tigers dominated the first 20 minutes of the match at the set pieces and rucks. Due to effective kicking, MTSU kept the pressure off of their goal line, but the Tigers would work the ball back into the red zone time and again. It was a fair test against two fairly equal teams until MTSU overloaded the back line on the northeast corner and took a try at the 24th minute. 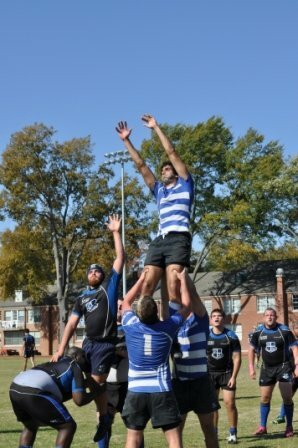 MTSU scored their second try straight over the top of a ruck while forwards were sliding to provide assistance to the backline. MTSU took one more try before halftime to make the score 19-0. Three tries and two conversions. All three tries were mental errors. The Tigers headed to the in-goal to regroup. And re-group the Tigers did. After an attack at the kick-off, the forward pressure drove MTSU against their goal. They were doing everything they could to stop the Tigers but the pressure was very intense. The referee caught MTSU players offsides. Joshua Campbell took a quick tap and headed for the goal line. The Tigers take their first points 1 minute into the second half. The Tigers had turned up the intensity and were bowling back the forwards. 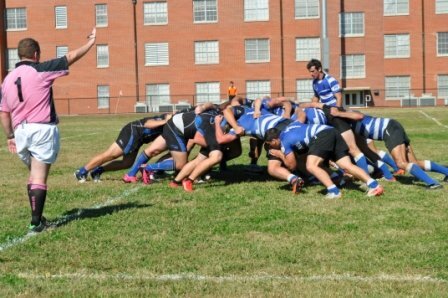 But rugby is more than intensity, and we were having problems with coverage in the back line. MTSU took trys in the 7th and 16th minute. The “B” match was a totally different story. It was less of a rugby match and more like a track meet. The B pack dominated the set pieces and loose play. The Tigers seemed to be able to score at will, putting up 55 points to MTSU’s 5. Everyone wanted to get in on the scoring and the coaches had a hard time keeping up with who was in the match. 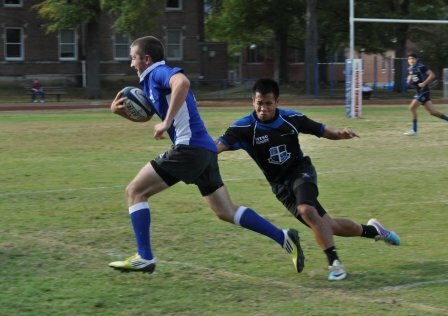 22 minute – Cameron Wilson scores a try. Conversion failed. The Killer “B”s dominated… demonstrating the depth of the Memphis program. The future looks very bright.